We've heard both a glass a wine a day and a bit of dark chocolate are good for the heart. Who are we to question? Our Dark Chocolate Soo Goods get their name because you can't help but utter that phrase after having a bite. Add in a luscious glass of red wine, and you've just upped your late-night snack game. 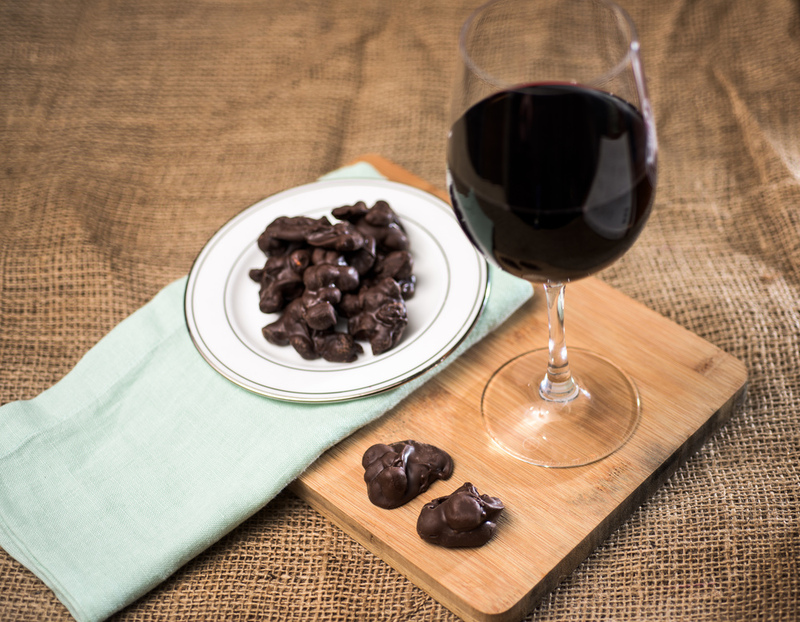 Whether you like bold, bright reds like merlot or pinot noir, or prefer something spicy, like a cabernet or syrah; the Soo Goods sweet raisins and salty pretzels covered in rich, dark Wilbur chocolate (the oldest chocolatier in the U.S.) bring out the best in your glass. Why, you ask? The chocolate is the perfect complement for the biting tannins in the wine, of course. Here are a few wines we love! So finish your night off right and toast to your health with this Pretzelphoria-approved pairing! Get our Soo Good Chocolate Clusters here. They also come in sugar-free for an even healthier evening!